The snow is melting, the days are getting longer and the birds are outside singing again. It’s springtime. Many of us are waking up from our long winter naps and we’re outside on the porch in the morning drinking our morning cup of tea. As you sit there and enjoy the warmth of the early morning sun, a small little bee lands on the rim of your mug. At first, you’re tempted to swat at it and run away with your arms flailing to avoid the probability of feeling the wrath of the bee’s sting. But at a closer look you realize it’s a honey bee. She’s on the hunt for nectar so she can bring it back to her hive to make and store honey. Which oddly enough, may be something you’ve added to your mug of tea, as millions of us enjoy this sweet treat on a daily basis. Some like it so much that they become apiarists and keep bees. Domesticating them for the extraction of their honey, wax, propolis and many other things that bees produce so it can be sold. What better way to sell your goods somewhere than in an online marketplace? Selling your goods online to Amazon is becoming increasingly popular. Who doesn’t want their goods for sale on the pages of this giant online retailer? However, it’s not as easy as calling them up on the phone and letting them know you’re ready to trade your honey. Certain protocols and communication methods need to be put in place in order to sell to them. Data communication requirements such as EDI. EDI stands for Electronic Data Interchange and is the structured transmission of electronic data such as purchase orders, invoices, and shipping notices between different organizations. Most simply, it ensures that your company's system can talk and communicate effectively with Amazon’s systems, and nothing will be lost in translation. B2BGateway’s EDI or API solutions connect to your eCommerce platform in order to fulfill orders within Amazon. Purchase orders come in from Amazon, they pass through B2BGateway’s system making the files readable, and they are sent out into your ERP accounting software and out to your supplier or warehouse support site. Purchase Order acknowledgements are then generated and sent from your ERP or accounting software, through B2BGateway, and back to Amazon. Routing requests can also be made by your warehouse and routing instructions will be delivered from Amazon, passed through B2BGateway’s system and back out to your supplier. EDI can sound pretty simple, but in the grand scheme of things it is actually very complex. Many different trading partner organizations require different communication protocols which both B2BGateway and our clients must follow in order to be compliant. Amazon for example, requires an AS2 certificate. That AS2 certificate will then require AS2 encryption software, as well as updates and licensing fees. What a headache! That’s why B2BGateway handles all of this for you on your behalf. So you can spend less time worrying about all of those certifications and encryption updates, and spend more time worrying about the health and longevity of your honeybees. You can imagine that a sufficient EDI provider is like a super organism itself, just like a bee hive. Everything must work in conjunction together in order to provide the best solution possible in the end. Worker bees are out collecting nectar and travelling back to the hive where they translate all of that nectar from bee to bee in order for it to become honey. B2BGateway translates thousands of documents each day and passes them onto our clients and trading partners in a not-so-sticky readable format. 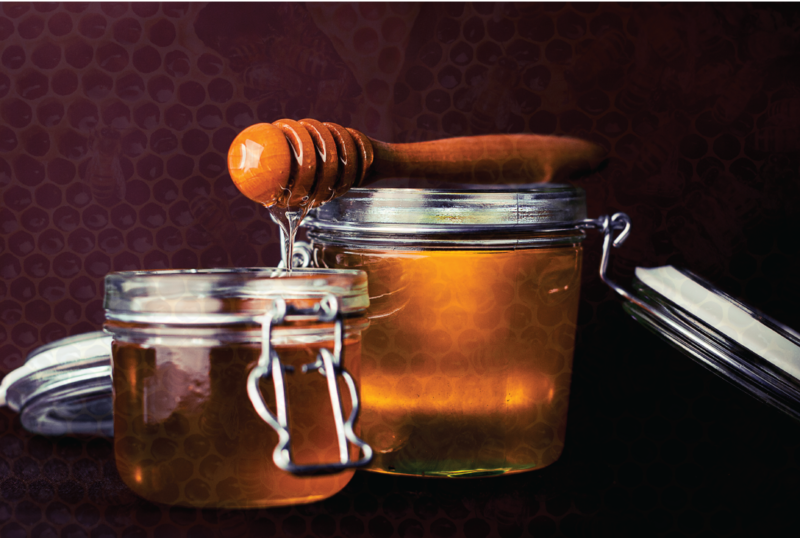 The representation of beekeeping for the consumption of honey can date back to tens of thousands of years. However, only until the 18th century was our biological understanding of bees advanced enough to build man-made bee hives in order to steal their honey without destroying the entire colony. Today, Langstroth hives are the most commonly used hives for the modern backyard beekeeper to be able to move the honeycomb so that they may extract the honey inside. At the end of a good season, one healthy hive may produce up to 120 pounds of raw delicious honey. Now that’s a lot of honey for your tea! So much, that the beekeeper could start thinking about selling it to an online store or marketplace like Amazon. Ryan Gilman is a marketing media specialist at B2BGateway. He maintains an active online presence, video/content marketing and trade show appearances. Ryan enjoys hiking, surfing, fishing and just generally being in the outdoors. If your business is in need of an EDI or API connectivity solution, please visit www.B2BGateway.net or contact a business development representative at Sales@B2BGateway.Net. B2BGateway takes pride on outstanding customer service, with after-hours support and available support on weekends. Let the experts at B2BGateway (www.B2BGateway.Net) handle the connectivity so you can manage your beehive.